CBD is certainly having a moment. At Pacific West Bud we’re getting more and more requests for CBD products, with many of those coming from men who do not regularly consume marijuana. These guys correctly see it as the best place to start as it offers some key medicinal benefits without the ‘high’ which may get in the way of daily activities for some. Sound like something you might be interested in? Let’s take a look at exactly what CBD is and the benefits of CBD for men. CBD stands for ‘cannabidiol’ and it is one of the core ingredients in marijuana after THC. Tetrahydrocannabinol is probably the chemical most of us have heard referenced in the past – the higher the percentage of THC, the higher the, well, high. While this is what some marijuana connoisseurs enjoy, others find it off-putting, as they do not want to alter their perception, which can interfere with their schedules. However, as mainstream media outlets like Vice, GQ, CBC, and The New York Times have reported in recent years, marijuana hosts a variety of medical benefits of which men are keen to avail. This is where CBD comes in. It’s the part of marijuana that offers these benefits and it is possible to buy strains of the plant, and products, with lots of CBD and little THC. Men who buy CBD heavy marijuana or marijuana products have reported some of the following benefits we’ll discuss below. Many men participate in sporting activities which can often lead to injury or inflammation. CBD can help reduce inflammation and act as a painkiller when necessary. After a tough day at the gym or a particularly rough game, the benefits of CBD for men can be an ideal antidote. Many men suffer in silence when it comes to mental health, as they feel there is a stigma associated with discussing their emotions. 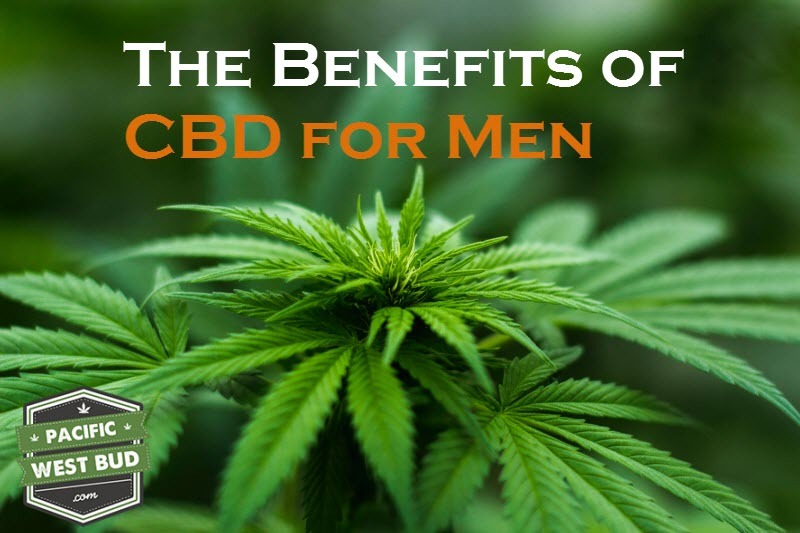 We encourage all men to speak to their doctors if they are experiencing issues with their mental health, and talk about possibly introducing CBD into their routine, as it has been known to relieve symptoms of anxiety and depression. There have been various studies over the years that have claimed that CBD has helped with mitigating a variety of ailments. There have been studies that have seen improvements with diabetes, cardiovascular health, and seizures, and it has also reportedly assisted in preventing certain types of cancer, which needs to be studied further. If you are suffering from an illness, talk to your doctor about the benefits of CBD for men and whether it can help your symptoms.